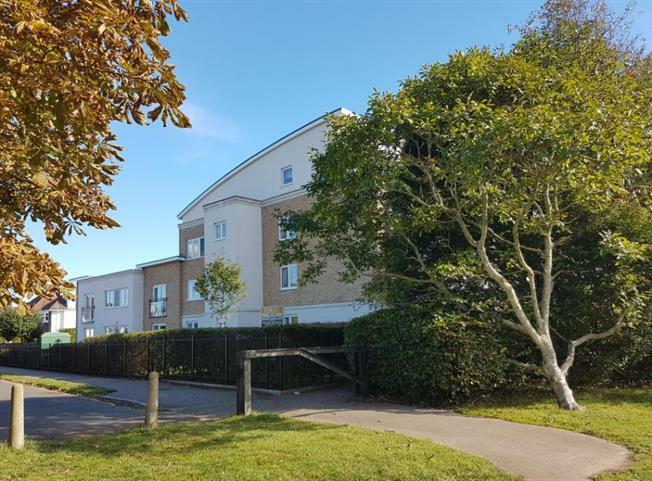 1 Bedroom Upper Floor Flat For Sale in Christchurch for £140,000. Price will include first years service charge. A superb one bedroom asssited living retirement apartment situated on the first floor. Highview Court, McCarthy & Stone's Assisted Living Development of one and two bedroom apartments offers residents the prospect of continued independence in a secure environment. Highview Court comprises of 55 properties arranged over 4 floors each served by lift. In addition to an Estate Manager there is a team of Assistant Estate Managers who between them provide 24 hour cover. One hour a week of domestic help is provided for the residents in each apartment, the cost of which is included in the service charge. Additional domestic help can be purchased separately as required. It is a condition of purchase that residents be over the age of 65 years or such other combined age, at the landlord's discression. Highcliffe boasts a castle, golf course, shops, doctors, and dentists etc and Highview Court is positioned adjacent to a park. Emergency intercom. Door entry system. Airing cupboard housing hot water cylinder. Emergency pull cord. Electric night storage heater. Fire surround. TV point. Telephone point. Emergency pull cord. Range of base untis with worksurfaces over, sink unit. Electric cooker and hob with hood over. Wall mounted cupboards. Emergency pull cord. Built in wardribe providing hanging and storage space. Electric wall heater. Emergency pull cord. Bath with twin hand grips. Electric shower. Low flush WC. Wash hand basin. Shaver point. Extractor fan. Wall mounted electric heater. Heated towel rail. Emergency pull cord.